Step 1: Firstly remove the existing wall and footings and all debris from the working area. Step 2: Re dig the footing making sure that you reach solid ground ( clay bed, or rock ) retaining the earth sides of the footing saves shuttering.The footing width for a single wall should be 500mm wide,this will help distribute the weight load. There are different typs of footings for different scenarios, for example if the ground is level you would need a strip footing,if the ground is on a incline you would need a stepped footing. The latter been a little more difficult as you need to calcuate the measurments of the product you are building your wall with to ensure that the courses run level. The depth of concrete needs to be a minimum of 125mm thick and needs to be equivalent to GP27 consistency. This will ensure long gevity and integrity to the project. INFO : Depending on how long the wall is and the ground levels between adjacent properties depends on the type of build you require. If the ground levels are different between properties, then the wall becomes a retaining wall in which case a single block wall would not be adequate. If this is the case i would recommend a double wall. If the ground is level, again depending on how long it is you may need to put in pillars to support the wall and give it strength. Step 3: You can buy underground blocks and above ground blocks so everything underground use the underground blocks and the above ground blocks for above ground. The concrete blocks that you are going to build with needs to be at least 9 newton. This is the density and strength of the block. Exactly as Goldencrown, has well explained. The only thing I would add, but would reflect on the price would be to build the above ground part of wall in a nice facing brick, this would need to be done in double skin, so you have faced brickwork either side. 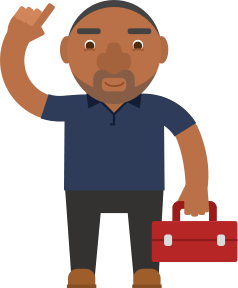 Post a job on MyBuilder to find quality, local Fencers who can help you with your project. Mount a boiler onto a block wall or stud wall and baton?